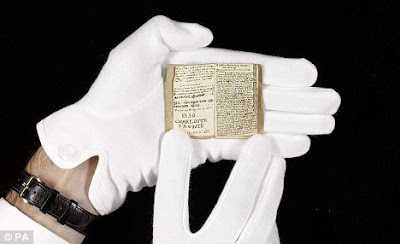 I heard about these amazing miniature books in December when they were being auctioned at Sotheby’s in London. The Brontë Parsonage Museum in Haworth, West Yorkshire was working to raise money to purchase the books. 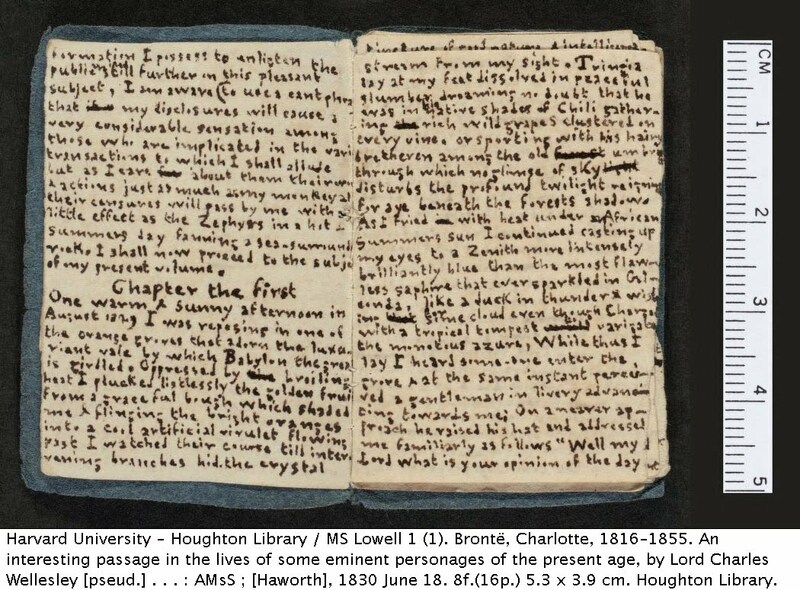 The little books chart Charlotte Brontë’s development as a writer and reveal how many of her early themes carry over into her published novels. 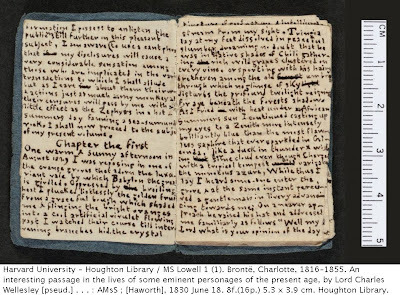 The first piece in the manuscript to be sold at Sotheby’s recounts how a murderer is driven to madness after being haunted by his victims, and how ‘an immense fire’ burning in his head causes his bed curtains to set alight, prefiguring the well-known scene in Charlotte’s novel, Jane Eyre, in which Rochester’s insane wife sets light to his bed curtains. The books did in fact go to another buyer—La Musée des Lettres et Manuscrits in Paris. The museum intends to put the book on display. View images of the book at the Houghton Library website. Zut alors! Here's the Daily Mail's take on a British national treasure going to France. 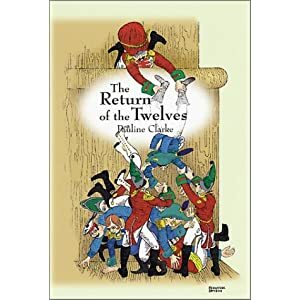 Reading about this reminded me of a children's book I had read in high school when I became fascinated by the Brontë clan—Return of the Twelves (first published in England as The Twelve and the Genii) by Pauline Clarke. After moving into a house in Yorkshire where the Brontës had lived, eight-year-old Max finds toy soldiers who come to life. He discovers they are in fact Branwell's and the plot involves word getting out a buyer wanting to take them to the United States. The little books are mentioned in the story. I reread it and found it delightful yet again. fascinating. thanks for reporting, susan. This is such a precious vignette! So glad you shared this Bronte story. The Return of the Twelve was one of my very favorite books, and of my daughter's in her turn. I think it is out of print but so worth seeking. Strong girl, strong boy, a grown-up who believes, and real live toy soldiers, who march home across the moors.